Dissolved oxygen meter portable model - eutech. D. O meter portable model - lutron. 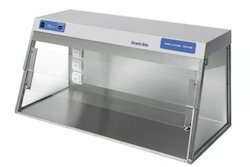 Dry bath chiller (incubator with chiller). 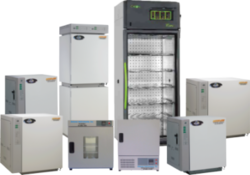 Deep freezers(vertical) remi plus series (against order with advance only). Ables flash and fire point (as per is) deep vision indian make. High precision thermostatic water bath (with stirrer). Deep freezers(vertical) remi plus series ( against order with advance only). Keeping the track of market development we are highly engaged in offering premium quality Desiccator that has a rubber gasket and two latches which provides an air tight seal. Our offered desiccator is accessible in different stipulations as per the needs of the patrons. 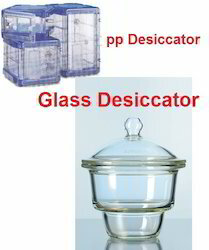 Offered desiccator is commonly installed in refrigerators and freezers and provides dust and moisture free storage. This desiccator is tested from our end on numerous parameters so as to dispatch a defect free range. 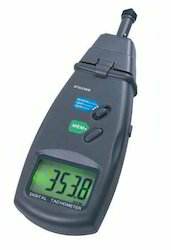 We are a prominent provider of TDS Meter to our clients. 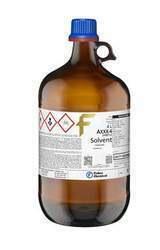 It is used for indication of Total Dissolved Solids (TDS) of a solution, i.e. the concentration of dissolved solids in it. This device is perfect for measurement of conductivity of the solution and estimates the TDS from that. This device does not include reading which is affected by dissolved organic solids such as sugar and microscopic solid particles such as colloids. 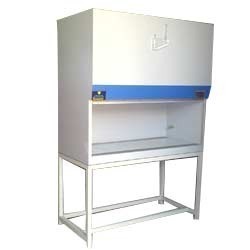 MINI UV CABINET¿¿¿¿UV Lamps (254nm and 352nm), white light, with seperate switches. Our organization is continuously moving towards the path of success by offering world class Cleveland Open Cup Apparatus. This apparatus consists of a cup, heating plate to specific dimension thermometer clip and test flame attachment with swivel joint. 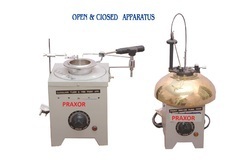 The offered apparatus is used for the determination of flash point & fire point of petroleum products except fuel oil with open cup flash below 80 deg C. Customers can avail the offered apparatus from us on several specifications as per their requirements. Fluke Corporation, a subsidiary of the Danaher Corporation, is a manufacturer of industrial testing equipment including electronic test equipment. It was started in 1948 by John Fluke, a friend and roommate of David Packard, future co-founder of Hewlett-Packard, when both were employed at General Electric.Today, Fluke Corporation is a global corporation with operations worldwide. It designs, develops, manufactures, and sells commercial electronic test and measurement instruments for scientific, service, educational, industrial, and government applications. Fluke Biomedical and Fluke Networks are sister organizations. 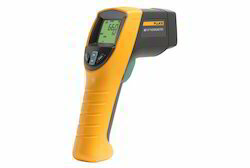 Infrared Thermometers, Visual IR Thermometers, andNon-Contact Infrared Thermometers. Fluke offers the latest in non-contact infrared (IR) thermometers (sometimes known as infrared pyrometers), visual IR thermometers and contact thermometers. They also offer a wide variety of probes, accessories, as well as application expertise for a complete range of temperature applications. Fluke backs all of its handheld thermometers with a no-hassle 2-year warranty and the highest level of customer service. Our enterprise is instrumental in manufacturing, exporting, importing, trading and supplying unique range of Magnetic Stirrers. This is ideal for heat sensitive operations including microbiology and biochemistry application and hanging microtitration stirring. The offered magnetic stirrers are inspected on numerous parameters so as to deliver a defect free range. 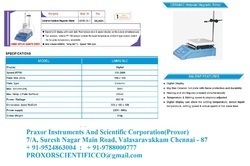 Customers can avail the offered magnetic stirrers from us on several specifications as per their requirements. There are two types of magnetic stirrers; mechanical and electronic. 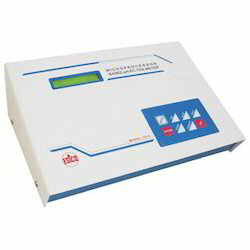 Most manufacturers of magnetic stirrers use the mechanical approach. They use steel and aluminum for the structural material and outdated methods of speed control. These units are not only very heavy, but also very inaccurate. The use of these materials and methods appear to make the units rugged and strong. But, they are instead, cumbersome and outdated. mechanical products is to increase the stirring time or the temperature. With electronics, you can do more. . . The hanna approach is electronic. Speed sensor and limiter: each hanna stirrer is equipped with a speed sensing device (opto-sensor) coupled with an fvc (frequency voltage converter), which monitors the speed. As the speed reaches a preset maximum level, the speed limiter shuts down the vco to slow down the motor speed. This ensures that when the load is suddenly removed from the stirrer, the motor will not accelerate to such a high speed that will be hazardous to both the user and the stirrer; a feature not commonly found in conventional stirrers. Accuracy: adjusting the stirring speed with a mechanical stirrer is inaccurate. Similar to the "zoom" function of a ranges of speed by using electronics. This assures maximum repeatability in experiments and processing. Auto-feedback: in addition, with the hanna auto-feedback stirrer, any change in viscosity or volume of the solution is automatically compensated for, to keep the speed constant. Sophisticated engineering ingenius design, employing sophisticated electronic technology, offers the best performance. Parts are engineered and manufactured to strict specifications to ensure absolute reliability. All components are mounted into a molded casing covered with a stainless steel plate, which is splash proof and chemically resistant. Minimal vibration and a well balanced rotating arm provides years of trouble free operation that hanna's users are familiar with. An on/off switch and a fuse located at the rear panel provides easy access to shut off power, in the event of a short circuit. The circuitry is grounded to the case for additional protection. 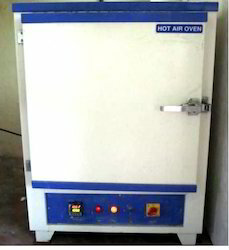 Leveraging on our quality oriented professionals, we are offering Hot Air Oven to our clients. It is an electrical device. It finds application in sterilization. It was made by Pasteur. It makes use of dry heat to sterilize articles. It operates at temperature range of 50 to 300 °C (122 to 572 °F). It has thermostat controlling mechanism and digital components for temperature controlling. It has double walled insulation which keeps heat in and conserves energy. It also has an air filled space in between to aid insulation. It is provide with air circulating fan helps in uniform distribution of the heat. It comes fitted with adjustable wire mesh plated trays or aluminum trays and also consists of on or off rocker switch. It is offered in different capacities. Power supply in this may vary. It is dependent on temperature and holding time. Temperature sensitive tapes and similar other devices like this which uses bacterial spores can be used to work as controls, to test for the efficacy of the device in every cycle. Keeping track of the latest market developments, we are introducing a precisely engineered range of Vertical Laminar Air Flow Bench. This air flow bench is developed by utilizing finest quality material and contemporary technology, under the strict supervision of our experts. In this bench, room air is taken inside through the per filter. The work table is made of thick board which is sun mica clad at top or S. S Table top will be provided as optional accessories.